Hi all, novice oil burner owner here with a question: Can I shut the thing off if my pellet stove is providing sufficient heat for the home? 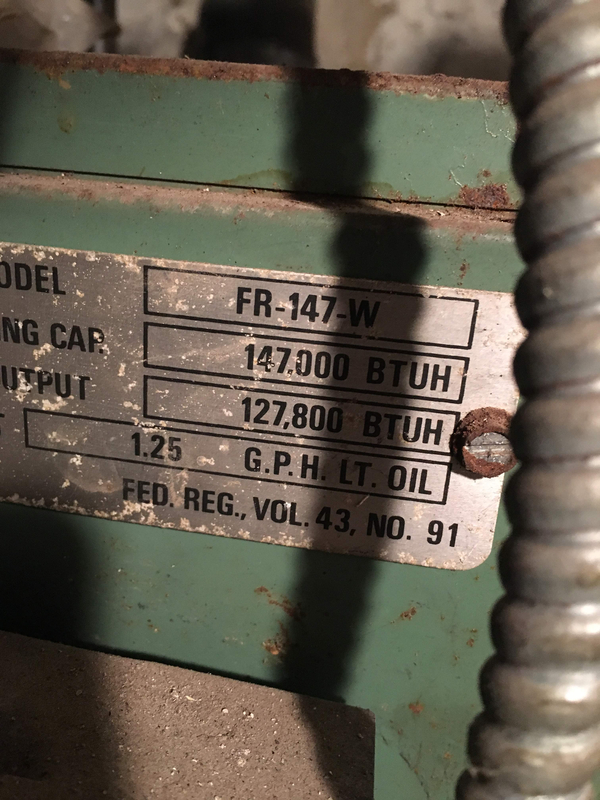 A little background: The unit is about 17 years old I think—model number FR - 147 - W, IBR. Not sure if that's the brand or what. Also a plate on it says "The New Yorker" something. Anyway, I heat my home with a pellet stove on the main floor, and this oil burner only powers a few rooms that usually overlap with the pellet stove (not my hot water heater—that's electric). So I want to shut it off actually, since it is just wasting oil when running—literally it runs like 4-5 times a day for about 5 minutes, then shuts off. I'm assuming these are "maintenance runs"? - Is it safe to do so? Will it hurt the unit? Thanks a ton, looking forward to learning from you all! If you’re not using it to make domestic hot water, it shouldn’t run at all, unless the thermostat calls. Changing the aquastat would solve that problem. Id prefer you do that, turn the thermostat for it down a little lower, in case the pellet stove goes off when your not home. 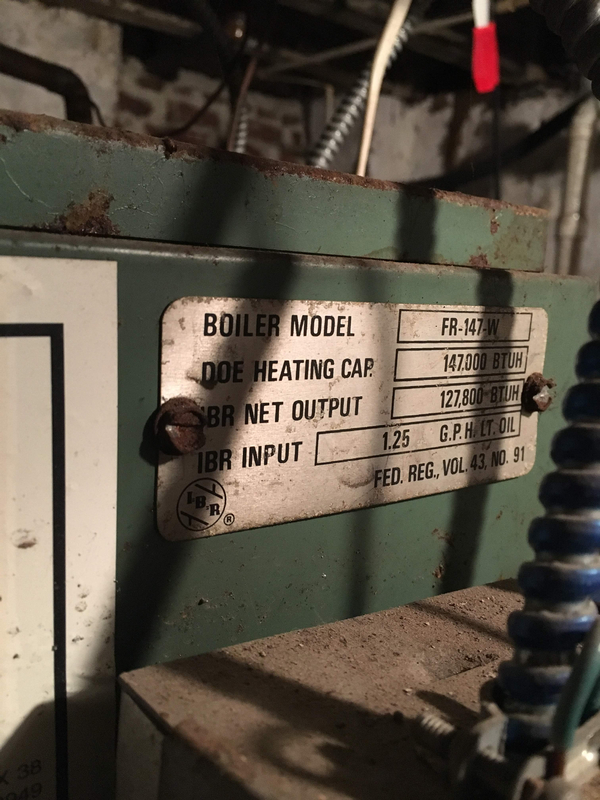 The only problem you could have with shutting it off completely with older boilers is when they’re cold they might leak. But you can turn it off and monitor for that issue. 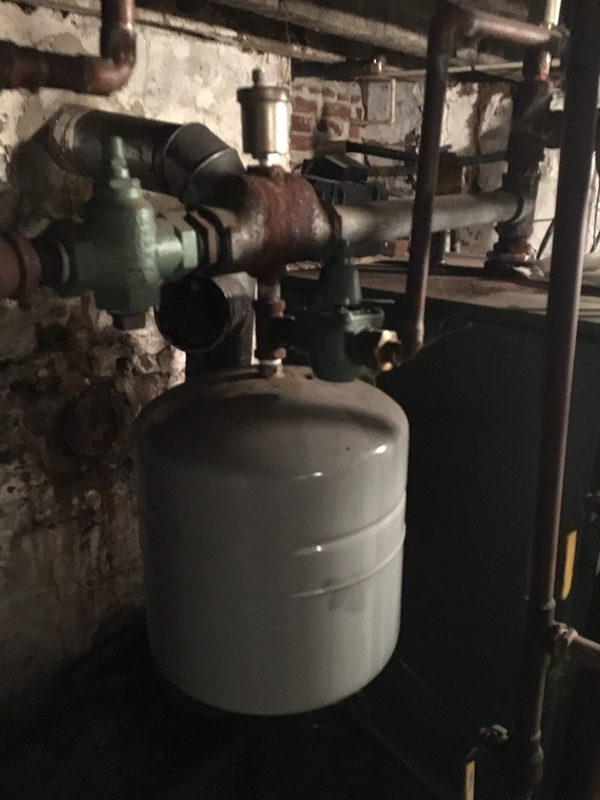 You should think about adding a glycol mix to the boiler or set it up for constant circulation with ODR. Many a pipe has burst due to an alternate heat source. By aquastat, what exactly do you mean? 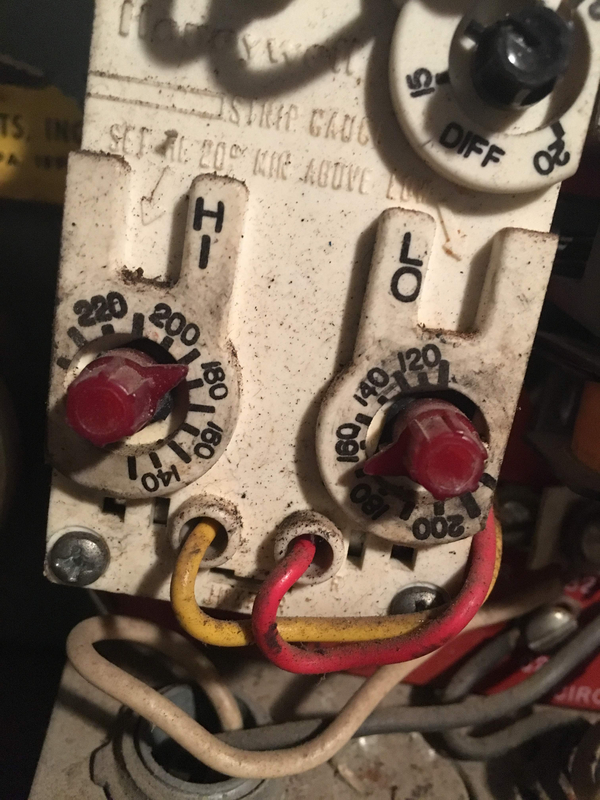 Is that the thermostat on the actual boiler, vs the thermostat in my main floor that "calls" for it to turn on? Hey thanks. Is this something I could do, or should I have my local dealer do? Call a pro. 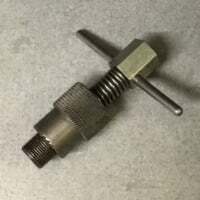 A polypropylene mix for your climate zone and testing with a refractometer. It should be tested every year and should last 5 years before a new mix is needed. ODR is something you might be able to do of your handy and we can help. Need more info though and some pics would be good. And @STEVEusaPA was referring to the aquastat on the boiler. I agree with HVACNUT about your distribution piping being at some freeze risk. Also your domestic hot and cold in the basement may suffer. A lot of fuel money has been saved with stoves only to be spent on repairs. If your stove is close to the thermostat the oil burner may never run. When it does it's short runs does the circulator pump run? Great question, not sure - what am I looking for when I go down there (circulator pump)? Also: Why would the domestic hot and cold suffer if that's an electric hot water heater? Any piping in the basement or on the perimeter of the house could freeze if there is no heat in those areas. You may feel warm upstairs near your stove but pipes in places you can not see could be subject freezing temps. Great feedback guys, I really appreciate it. Attached are some photos of the unit, including the Aquastat that Steve mentioned should be turned down (currently set to med). Steve, or others: So turning that down to "Low" will reduce those maintenance runs? I believe I'll try that, see if the unit runs less when not called for, and keep it eye on it. I believe I realize the main point here: exterior pipes leading to locations might get cold, and then potentially burst along the edges even if the main floor "feels" hot. Makes sense. Sounds like what I'm trying to do is set it at the minimum setting to keep them warm/safe enough, while still keeping the unit on. No..that's the circulator, leave that where it is. You're not showing the aquastat in any of your photos. But turning the low limit all the way down won't prevent the boiler from maintaining temperature, only replacing the aquastat would fix that. 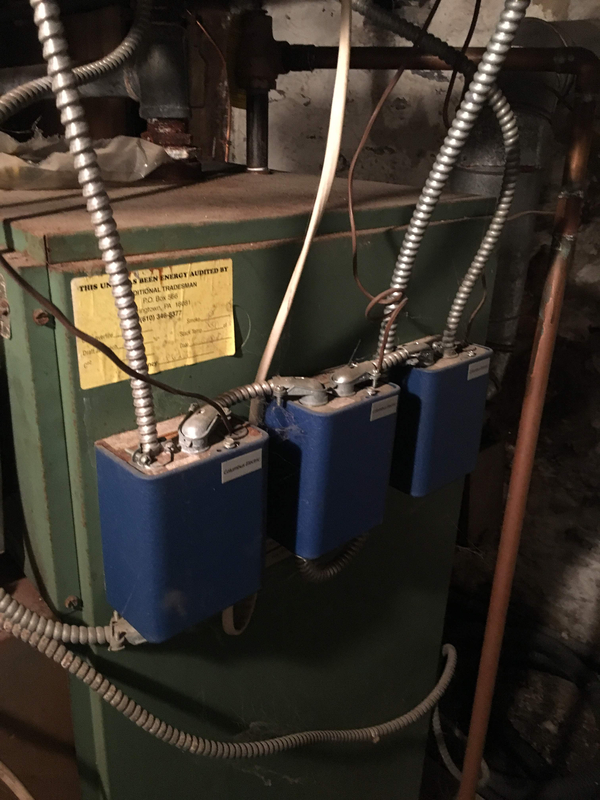 Looks like you may have more than one zone for your boiler. I'd actually walk around and evaluate all the piping to see if freezing is even an issue before I consider changing to a glycol mix. If a thermostat in a room not heated by the pellet stove was set at say 55°, it's probably enough heat/run time on the coldest days to prevent freezing. But once again, you would need to fully evaluate that to be sure. I'd be curious to see how much you spent on pellets, and how much on heating oil to heat your home last winter.. Thanks Steve. 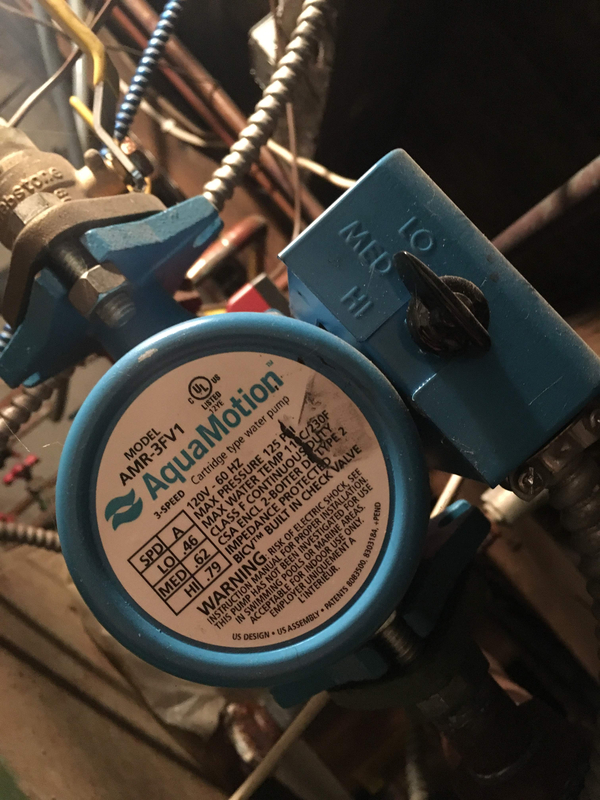 I Googled "aquastat" and believe I now know where it is on the boiler, and will update with an image when I get home today. Yes, the previous owner put in several zones (4), some electric, some oil. Your question about pellets vs oil is one I've considered. 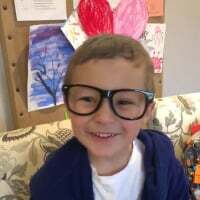 The main issue is, I don't believe I could match the heat output/overall comfort level of my pellet stove heat (70-72 main floor and kids' rooms, 75 in family room) with oil in all those zones, the way it's set up. Of course I'd have to test this to be sure (I'm getting pellets at $260/ton, oil about $2.50/gallon). Last year I spent $850 on oil and about $550 on pellets, and hope to lower thermostat even more this year to reduce oil). Thanks again for the info, will send a pic of the aquastat. Attached images below, looks like it's set to 190 H and 170 L, which I'm guess explains all the "calls for oil" when the thermostat's aren't calling for it. Differential looks to be set at 12? I've set all thermostats to 55. So what should I set the aquastat to, again keeping in mind my mission: to use as little oil as possible, considering I heat my house with pellets—and have an electric hot water heater? Well the boiler looks to be on the older side, and its steel so IMO, I wouldn't be concerned about condensing flue gasses, so try this. Lo- Clockwise until it stops. Low as possible. Diff- CCW until it stops. High as possible. If on real cold days if the boiler temp cant keep up with demand, raise the Hi to 170°. Like @STEVEusaPA said, only a new aquastat will give you cold start capability. The Hydrostat, Beckett Aquasmart, and others can be set up for cold start, and have other $$ saving goodies. Gotcha. Will try it and report results back! Guys, got a 2-month update for you. Would love your thoughts and suggestions. My previous goal was to lower aquastat on the burner to the lowest amount as to not use except when really needed—which I did thanks to you. I continued to burn the max amount of pellets in my pellet stove (1 ton a month around $270), and measured how much oil I used as well during this "low setting", which came out to about 2 gallons a day (so about $150 a month at the current oil price). Summary: My energy cost is $420, which seems super high. Even if I doubled my oil bill to $300, I'd still be way short of that. With oil so low in cost this year, I just don't think it's efficient—especially since I have 4 zones for oil heat and have a lot of control. My new test for this month his: raise oil temp, shut off pellet stove. I've returned the aquastat setting to that shown in the previous image above, and am going to measure how many gallons I use. Thoughts? Suggestions on aquastat settings—return to normal, as shown above, or a different one? Burn pellets only during the day, and not at night? Here's a calculator to compare different fuels and the cost!